Ice Climbers are back for Super Smash Bros. Ultimate, giant wooden mallets in hand. This is no surprise of course, given that every fighter in Smash Bros history is in the game. And seeing as so many fighters will be included this time around, we figured we’d bring you breakdowns of each one. In this Super Smash Bros. Ultimate Ice Climbers Guide, we’ll give you info on the Ice Climbers moveset, what’s changed since the last appearance, and also a look at the alternate costumes that will be available. Ice Climbers missed out on the fun in the last Smash Bros game, being relegated to being a trophy. In Smash Bros Ultimate though, they’re back as fully-fledged fighters. There have been a few changes since their last appearance though, as well as some more alternate costumes being added in. let’s take a look. 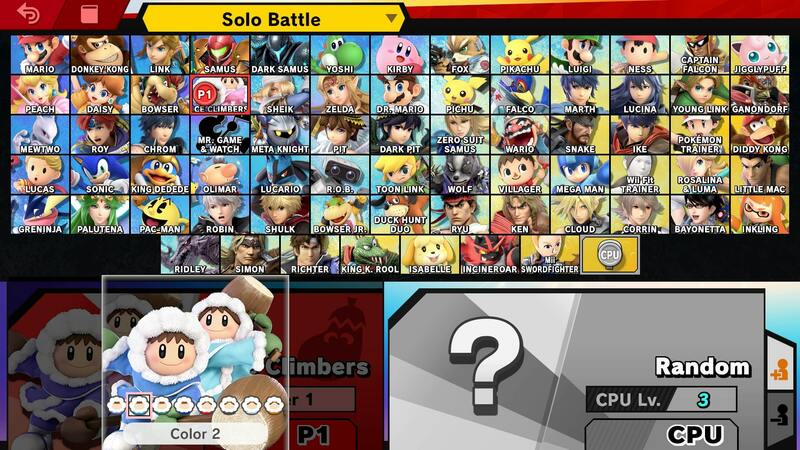 Just below, you can see a complete roundup of all the Ice Climbers' moves in Super Smash Bros. Ultimate. There’s also a listing for Iceberg, the Final Smash move for the pair of fighters. 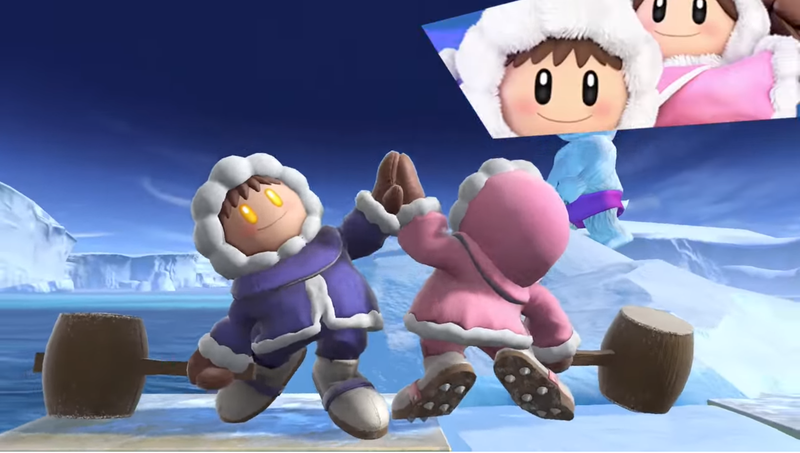 Just like many other characters in Super Smash Bros Ultimate, Ice Climbers will have alternate Costumes. In general, they are just minor color variations on their outfits, though which one you choose does alter the play slightly. You see, if you choose the red and purple costumes, the grey and brown, the two light blue, or the blue and red costumes, then the lead character will be Nana. Otherwise, Popo will lead. Just like in previous games, Ice Climbers have Iceberg as their Final Smash. In Super Smash Bros Ultimate though, it is a little different. It doesn’t last as long for one, and also now features a polar bear sitting on the giant iceberg. Once the Iceberg is triggered, an orange bird will enter the stage. The Ice Climber can grab onto the bird and circle around the stage. That’s everything we know about Ice Climbers in Super Smash Bros Ultimate. We’ll be adding more info as we get it, but in the meantime you can head over to our Super Smash Bros Ultimate Guides Hub for more info on the game.